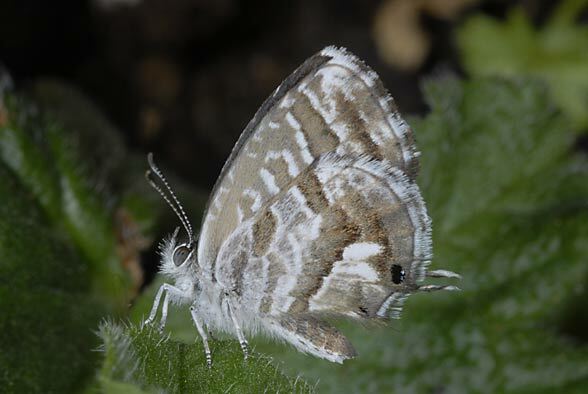 The larvae feed on Geraniaceae such as Geranium and Pelargonium species. 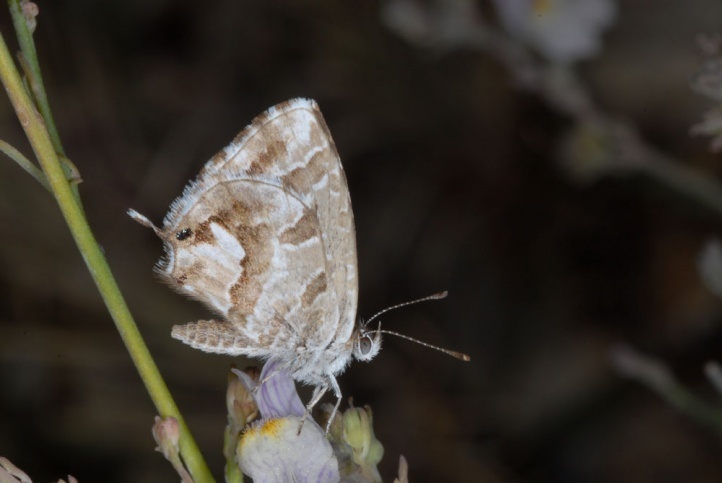 In Fuerteventura, I observed oviposition on wild Geranium and planted Pelargonium around hotels of Costa Calma in February 2007. 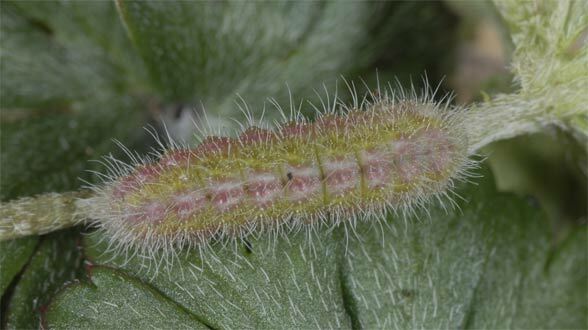 In Europe, Cacyreus marshalli colonizes often artificial habitats in rebates with geranium (Pelargonium). 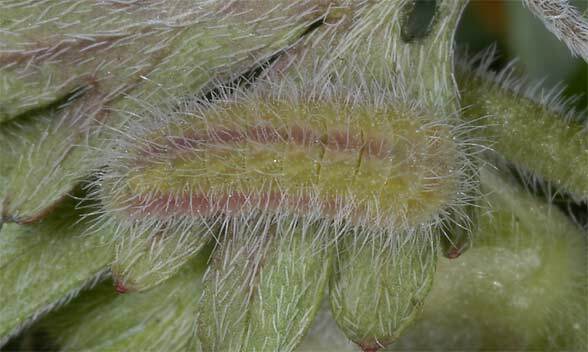 But it also occurs in natural habitats with Geranium or Erodium. 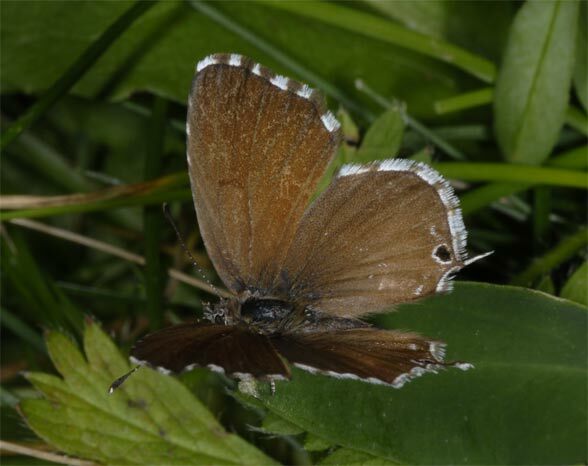 In 2007, I met the butterflies in the South (Mendrisio, early October) and central Ticino (Isone, in late April) on geranium-rich meadows and forest edges. 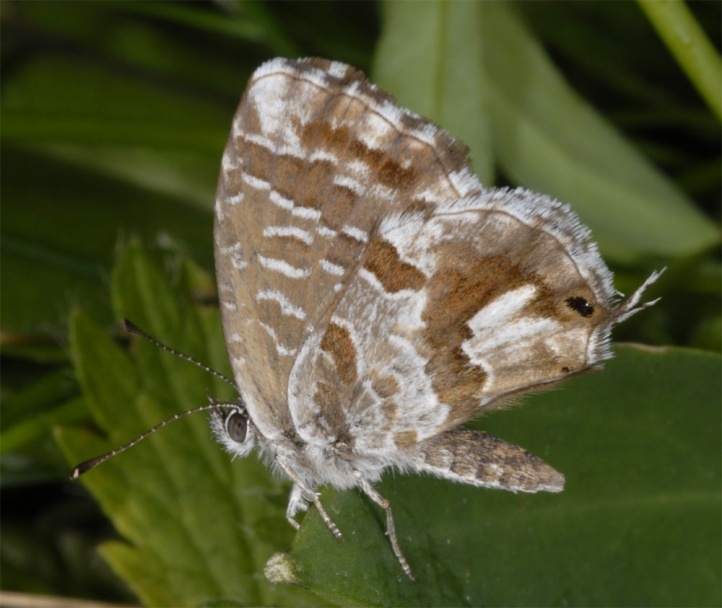 In September 2012, I was watching butterflies in the Hautes Alpes (Durance valley) at about 1200m above sea level on xerothermous slopes. In the Canaries (Fuerteventura), Cacyreus marshalli is observed throughout the year, in Southern Europe more from March to October. 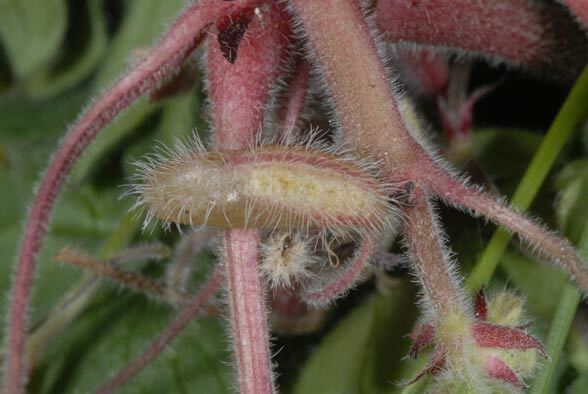 The caterpillars feed on leaves and flowers. Cacyreus marshalli is originally found only in South Africa, was introduced with Pelargonium imports and is spreading rapidly in recent years in Southern Europe (mainly Spain, France, Italy) and has already reached the Canaries and southern Switzerland.